A modern day man, with more than 20 years of corporate work experience, as well as the experience of life itself - the teacher has been practicing yoga and meditation since 1987 for 30+ years with firm foundation in personal experience of that which he teaches today around the world. Vidhi is a certified yoga teacher whose personal practice encompasses pure indian classical yoga practices such as Raja Yoga, Ashtanga Yoga / Hatha Yoga, Kundalini meditation and Bhakti Yoga. During his young years – a strong spiritual inclination led Vidhi into exploring practices such as Hatha Yoga, Bhakti Yoga, Sahaj Yoga, Tantra, Auyurvedic Massage, Thai Massage, Reiki Healing, Reflexology and Vippassna meditation. 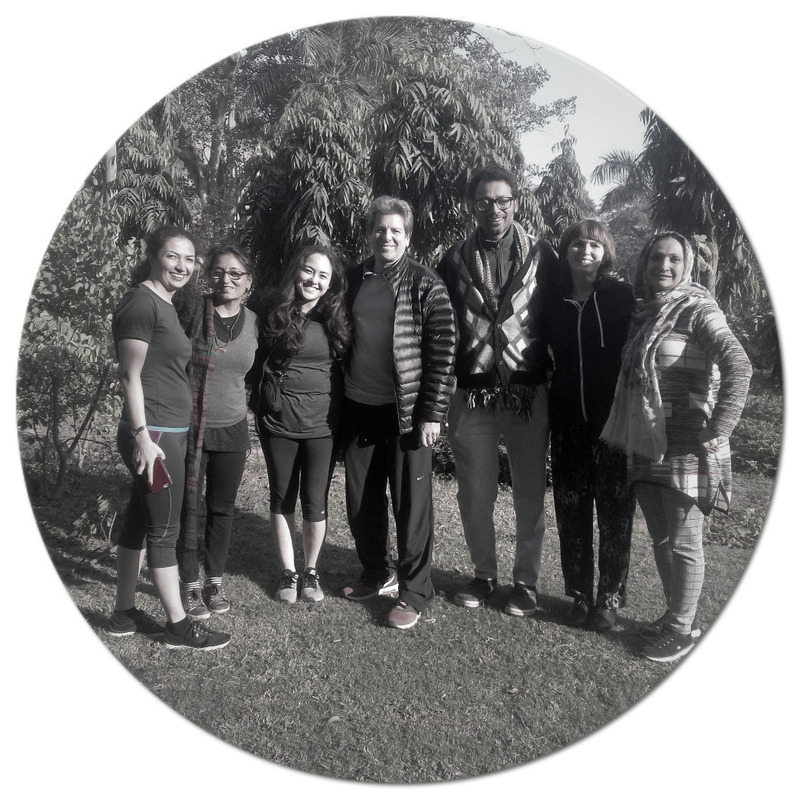 Growing close to Rishikesh helped to water the curiosity, through aid of blessed souls and teachers who guided him to stumble upon the path of teaching. 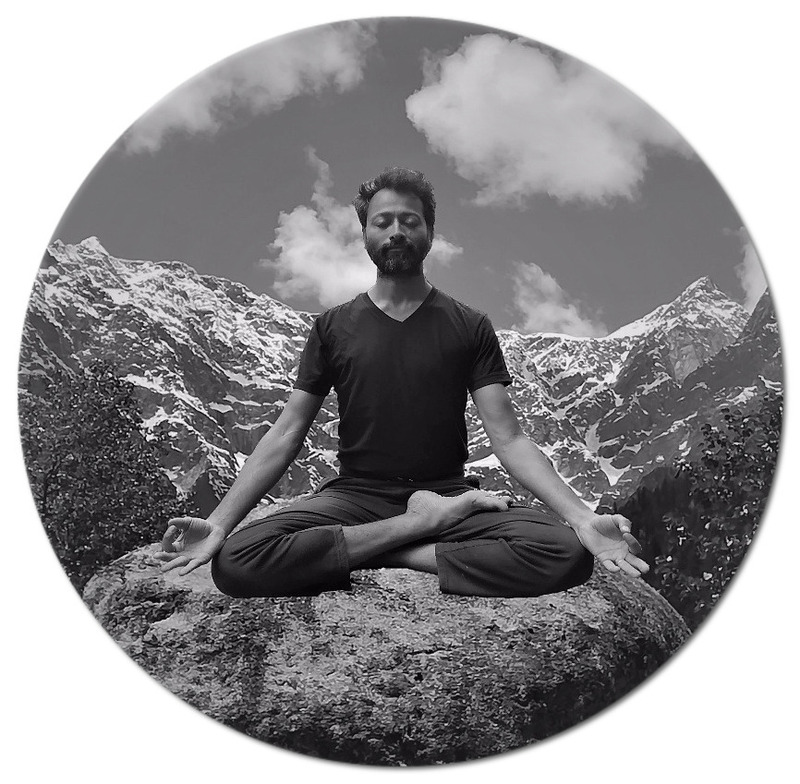 One of the rarest teachers in the world, who combine yoga with buddhist meditation, Vidhi conducts healing workshops where he teaches us to how to use yoga and meditation to go beyond the mind and activate the inner Buddha. His workshops are truly holistic covering yoga, meditation, healing as well as the ancient art of healing massage therapy, which is derived from Tantra, Auyurvedic , Thai Massage, Reiki and Reflexology. In his teachings, the whole re-enforcement is not on following him as a Guru but to self realize and actualize the Buddha within through his guidance. As he quotes Buddha –“we all must take refuge in the Buddha within to make any real change happen to our lives”. Master as he is most lovingly referred to, teaches you how to go deep within and realize your own special energies and power of the mind. In his presence observing his gentle smile and warm eyes, one does immediately realize the energy and warmth he radiates triggering a substantial change occurring within us. Master believes "Only the seeker shall find . . . " prompting him to give out completely and compassionately to the one who reaches him, through their own inner search or personal suffering. He guides knowing clearly that some of us who arrive into his path - are still not ready to let go of suffering (caused by attachments) and grow out of our misery. He reaches out to one and all with all his love and heart and makes you feel special just by his mere presence. Vidhi simplifies the complexity of meditation and provides us a path that is easy to follow and makes us aware of the difficulties that we can face while purifying the mind. His constant guidance keeps us (students) abreast with our progress on the spiritual path as we see ourselves transforming into new people who are mentally and physically healthy in everyday life. The word Buddha simply refers to the one who knows all, the supreme enlightened being or consciousness. Siddharth Gautam (Buddha) believed that everyone has the enlightened being within themselves, which in most humans stays in sleeping state, unless awakened through suffering or exploring through meditation. Looking deep within, observing without any reaction is the key to awaken the buddha ( the inner enlightened awareness ) within. The meditation presents a path full of physical pain and complex distractions of the mind - before the mind purifies and clears your body of stress, blocked emotions and sickness that has manifested on the body. With continuous practice and guidance of the teacher the path becomes easy as the student understands the complex nature of mind and keeps his/her solid determination to only observe that which the mind keeps bringing to the surface in the process of purifying the mind and the body. Awaken Inner Buddha Yoga & Meditation was formed in 2008, by its lead teacher to propogate the simple teachings of Buddhist Meditation and Classical form of Yoga being practised in India for several thousand years. With the key of how to go deeper into the mind through meditation - the practice is meant to unfold a whole new transforming meaning and experience to the lives of many who come to seek guidance. Today we teach in more than 30 countries and 50 cities across Europe and India, with one mission to awaken every one's inner buddha or supreme consciousness. With his devotion, practice and long experience of doing what he teaches master Vidhi connects the spiritual dots that very few Gurus/teachers like to talk about or teach in a form that can awaken the inner energy, empower you and be used by the common man. To those seeking a personal transformation in life, seeking liberation from their suffering ,beginners in the field of Yoga to experienced teachers, healers and massage therapists the retreat serves the needs of many through intense practices of meditation yoga and healing. The meditation during these workshops have led to profound effects on a lot of students who keep coming back since they find themselves healing from the everyday stress, physical pains, ailments, long-term emotional blocks, trauma, pain and suffering. During meditation as the mind becomes calm, the energy of the Kundalini is awakened resulting in energy flow through chakras and students experiencing a higher state of energy post-meditation. The teacher comes from a corporate background working under tremendous stress environments of BPO's and Outsourcing sector working for some of the biggest clients in the Serivce Industry from Dell Microsoft, American Express to Health Care giants. He understands well how to manage stress through meditation & Yoga not only for Senior Management but all individuals across the board. Workspace is a proven source of stress for most working individuals. Today even science recognizes the power of Yoga & Meditation in restoring health of individuals without having to depend on drugs and doctors. Top companies are investing into Yoga for better mental physical health of employees. From Tata Group to SN Envirotech to big and medium size companies both in India and Europe AIB has been conducting classes and workshops for employees to learn simple yoga and meditation techniques for everyday stress and better health. We offer regular packages which include (3-4) times a week yoga and meditation sessions helping employees de-stress before / after work. This has helped organizations boost productivity of employees, feel good factor , employee morale and led to greater satisfaction at work. Make your organization a happier place to work. Boost the effciency of your employees. Feel free to schedule yourself for one on one engagements over a few days period to get guidance and counseling into yoga meditation and developing a self-practice to bring transformation into life. Write to us at awakeninnerbuddha@yahoo.com for more details. Since 2014 Awaken Inner Buddha Yoga has been continuously been recognized by Travel and Wellness domain from around the world. 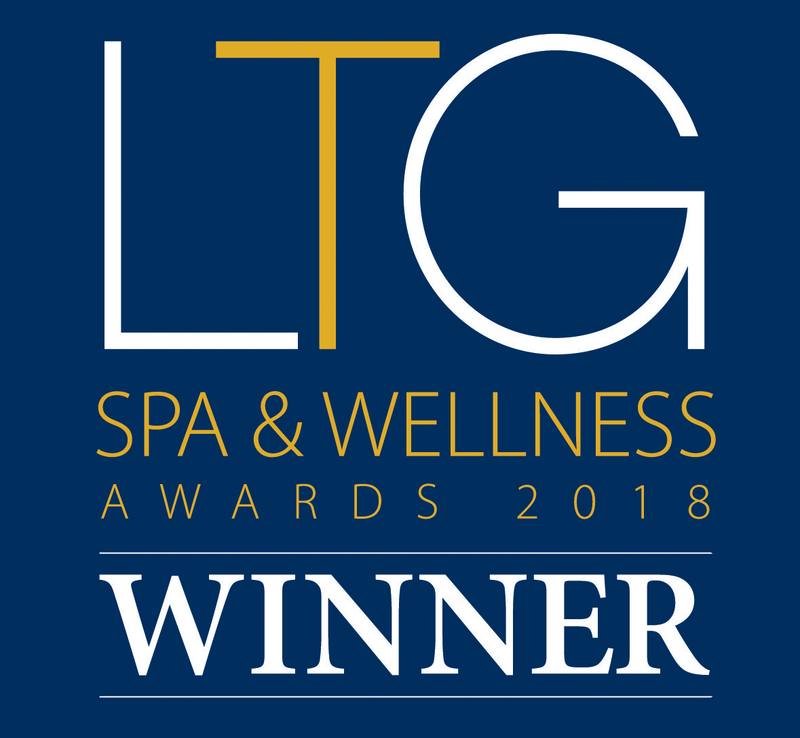 In 2018, we have already been awarded 3 different recognitions for our work in Retreat, Yoga and Therapy segement. Luxury Travel Guide Award 2017, a travel magazine for the affluent traveler, has awarded Awaken Inner Buddha Yoga & Meditation an award for Service Excellence in Asia and Australia region for 2017. Luxury Travel Guide Award 2018 , awards Awaken Inner Buddha Yoga Service Excellence in the field of Yoga and Retreats for Asia and Australia region. Tripadvisor Excellence Awards for year of 2018 and 2017. Feel free to contact us if you would like us to organize a retreat or workshop in your part of the world. A 2 hour yoga class with the core focus of advancing into deeper meditation, helps release stress and emotional blockages while energizing various energy channels ( chakras ) starting from the crown to the base chakra. In this class, come learn the essential practice of Ha-tha yoga (where Ha refers to Sun energy and Tha refers to Moon energy ) and the sequence of 12 basic asanas which leads to balancing the two energies inside the body. This practice is combined with the powerful meditation practice of Vippassna Buddha's meditation which helps releases deeply held stress & blockages and also fills practioners with fresh physical and mental energy. The class includes Breath Yoga, Warm Ups, 12 powerful Postures and Buddhist Meditation. Have you ever wanted to know more about Yoga ? What is the classical pracice or thought? Am I practising the right kind of yoga ? Which kind of style is best for me ? Is originally Yoga really so many kinds of styles? Come learn all this and much more with the master himself in an almost half day workshop that can last 6 hours. This workshop includes a 2 hour yoga meditation class. to heal and rejuvenate a persons body. Devised by the master himself and taught exclusively in the week long retreats and workshops conducted by him. World over, people who have experienced the massage report it is a strong energy experience & there is nothing like this they have experienced before and the students consistently send us feedback on how the people they massaged could feel the energy change in them. Feeling blocked, stressed depressed, can not achieve something that you continously strive for. Do you find yourself stuck in cyclic patterns of bad relationships, mental or physical health. Have you been to a doctor , mental health practitioner and not been able to find a suitable response. Schedule a session with us now, online or offline. This session is for the one who do not know what they want and have a lot of problems in life or mind that they seek to solve through spiritual practices but yet have not been able to understand either themselves, or the root cause of their problems and how to come out of them. The master gives personalized sessions where he listens and guides using his intuition, meditation energy and observation of your calamatic mind. People from across the globe have experienced super calming effect and discovered real guidance in their life to tackle that which they could not even understand to begin with. Similar to psycho therapy session, the individual must be willing to speak honestly and talk about him/herself. These sessions have no time limit and can last anywhere from 60 mins to several hours. If you are seeking freedom from your sorrow, mental tension, stress and looking deeper within for peace, life long happiness , you may come for personalized meditation session with the master or be a part of group meditation session where master introduces you to Vippassna and guides you in the process of its tough practice. With experience of doing meditation since 1996 and practicing healing, the master has immense energy to give you an Aura healing session where by our therapists, first scan your auric or pranic field, identify mental / emotional / disease blockages existing in aura, Scan energy centers ( Chakras ) , remove the blockages and then Re-energize the Aura field. After finishing the session the therapists usually create a security protection for your energy. The session lasts 60 minutes and may be conducted in a non touch therapy style. This re energizes the body through unblocking your chakras, calming your mind down, slowing your hyperactive brain and let the energy of life - Prana, find its original balance. Most people experience a meditation induced sleepy state in which they drift off before the sessions ends. Extremely good for insomniacs, exhausted or tired people who are undergoing a lot of emotional stress.